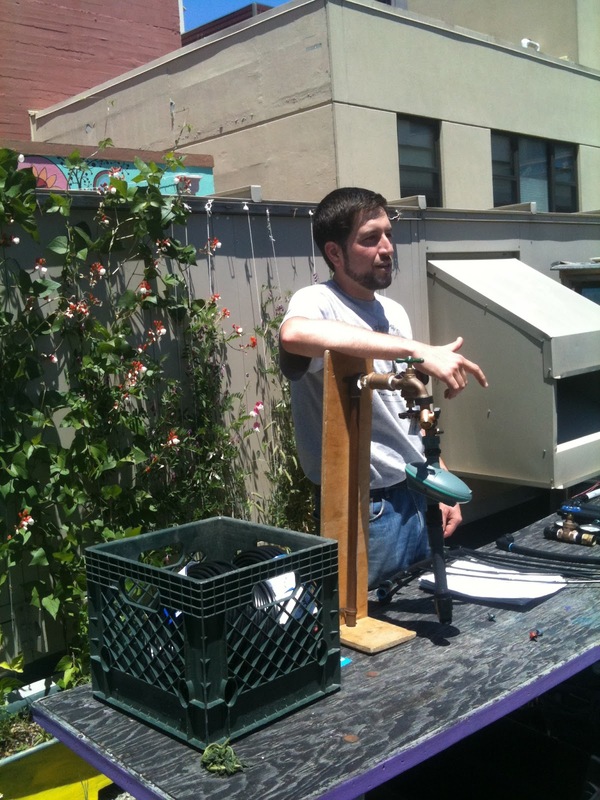 For the June installment of our urban agriculture workshop series we invited Shain Herbert of the Urban Farmer Store to break down the "how-tos" of irrigation. He did an incredible job covering a vast amount of information and all the parts and pieces that can make up a successful irrigation system. The workshop participants were Master Gardeners, School Garden Coordinators and aspiring backyard gardeners. Following the lecture, we jumped into practice and worked together to refine a loosey-goosey drip-line into a more refined and efficient system. Thank you Shain and all who came out on Sunday to learn and support the continued development of Graze the Roof! Enjoy the sunshine and happy gardening!